Directions: From Rodeo Road, turn onto Richards Avenue going south (towards Santa Fe Community College). Go to the first stop light and turn left onto Governor Miles Road and then turn immediately right into the parking lot of the church. 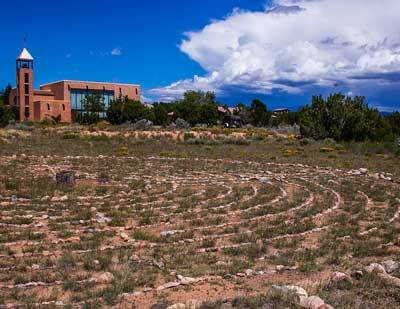 The labyrinth is on the far side of the parking lot.